When you take your running to the extreme, make sure your socks will protect your feet all year round. 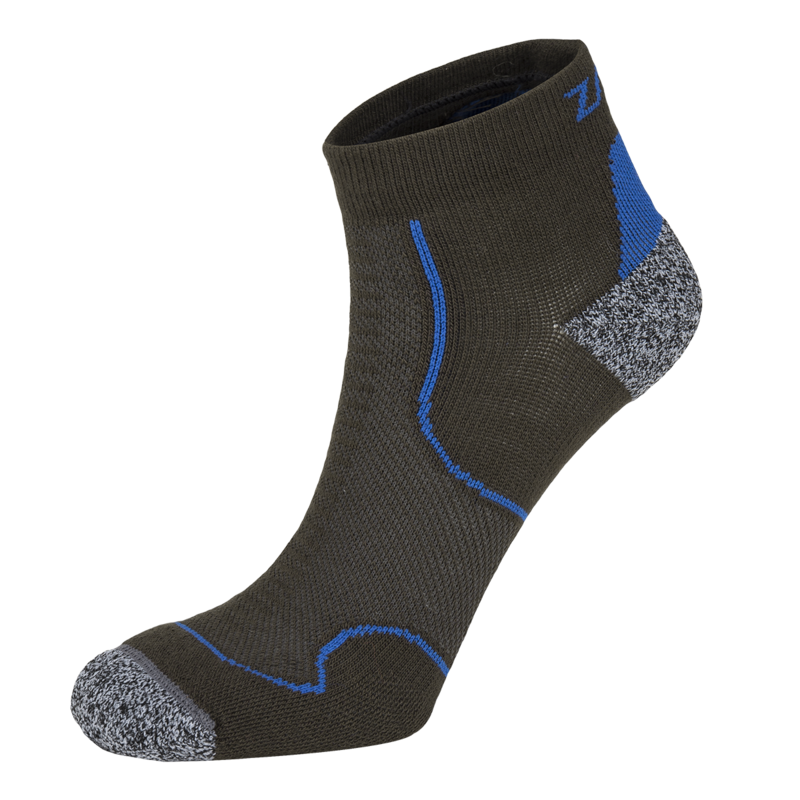 Socks are durable enough to withstand plenty of abrasion from dirt in your shoes, and low cut protects the ankles and keeps out debris. Extra padding in places of high impact and wear prevent blisters, the mortal enemy of the runner. In places where padding was not needed, the sock is made of very thin, highly breathable Coolmax® mesh that works extremely well at allowing your feet to breathe and stay dry.